I READ Ray Holland’s letter (“Conservation isn’t everything”, Cage & Aviary Birds, December 12, 2018) with great interest. I understand the points Ray makes, but struggle with his perspective and in some cases his terminology. I do agree with him and would love to see more articles written by private aviculturists in the Avicultural Society (AS) magazine. Over the years, I have had the privilege to meet many private individuals whose passion and knowledge are equal to and sometimes even surpass the knowledge of those that work in zoos; as such, I take a little offence at the term “amateur” when describing the private sector. Fresh eyes and ideas are imperative to the advancement of aviculture. From this perspective, the private sector has much to offer. 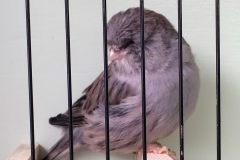 There is no black and white when it comes to avian husbandry; however, trying to motivate individuals to put pen to paper and share their knowledge is frustratingly like trying to get blood out of a stone. Trust me: this is not unique to the private sector. I have experienced the same difficulties among my colleagues in the zoo community, and for all the same reasons – indeed, I recall the insecurity I felt when I wrote my first article and got it published. I am a great believer that if you are not happy with a situation, you do something constructive to encourage positive change. The AS belongs to its members and it is they who have the power to mould the society. I challenge every member to write a short article on their experiences. Share your passion! Mr Holland’s main point is about conservation in zoos. I would like to hear his thoughts on what the zoo community should be focused on if not conservation. To hold a zoo licence, there are certain criteria that must be fulfilled: conservation, education and research. The zoo has changed drastically from the old-style menageries of the past. We have come a long way with emphasis on health, welfare and maintaining sustainable, genetically diverse captive populations. For each species that is managed under an European Endangered Species Programme (EEP), a plethora of people are involved: a species coordinator; a studbook keeper; a committee of people with expertise and knowledge of said species; a veterinary advisor, and a population biologist. All of this just for one species. Now multiply all of that by the number of species managed as an EEP, and you may start to understand the amount of effort and resources that zoos invest in trying to secure the future of these amazing species. My one regret is that zoos were not at this stage when the dodo was still in existence! I am not entirely certain of Mr Holland’s use of the word “common” in relation to species. Based on the state of the planet, I don’t think any species can be deemed as truly safe any more, but that is by the by. I am the studbook keeper for a species officially listed as Least Concern. This species is not considered endangered in the wild and yet it is part of a managed programme in zoos. I have spent the past 12 years working with this species and with the help of holders we have expanded our knowledge of this species’ husbandry. Currently, we are researching various aspects of health and welfare. Everything we learn about this particular species is transferable to other, more endangered species. Many other Least Concern species are being managed in this fashion. 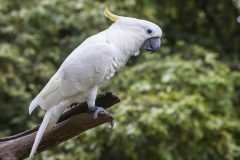 In short, I am sorry to say that the comment – “zoos are not interested in birds that are common in the wild” – is unfounded. You have to appreciate that zoos do not have the resources to work with every species, so they focus on the species that will benefit the most in the long term. If that means focusing on certain species, and possibly even saving them from extinction, that certainly gets my vote. I hope this article goes some way to clarify the topics Mr Holland has raised. Mr Holland, I respect you for putting your views forward and want to thank you for making me want to compose a response. I had forgotten how much I enjoy putting pen to paper! 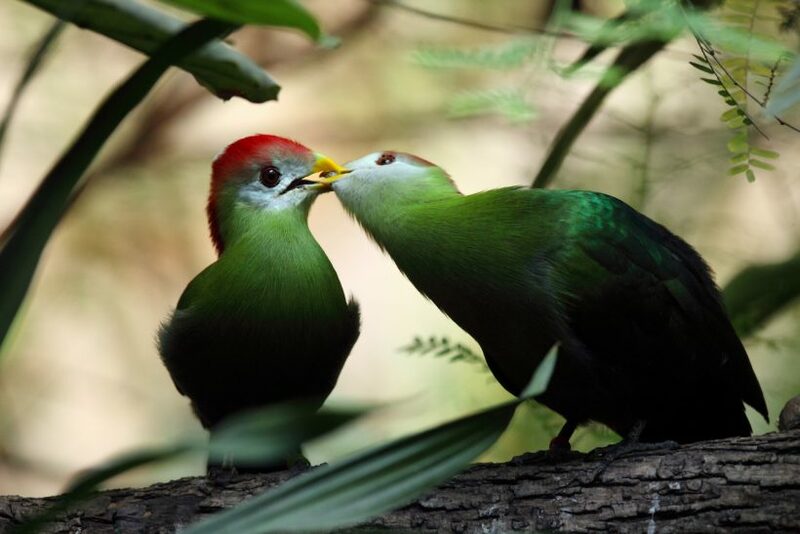 Louise Peat is the animal registrar at Cotswold Wildlife Park, and is well known for her work on turacos (Musophagidae).